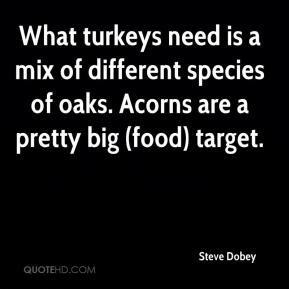 What turkeys need is a mix of different species of oaks. Acorns are a pretty big (food) target. 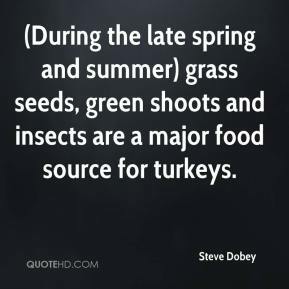 (During the late spring and summer) grass seeds, green shoots and insects are a major food source for turkeys. February and March are very lean times for turkeys. 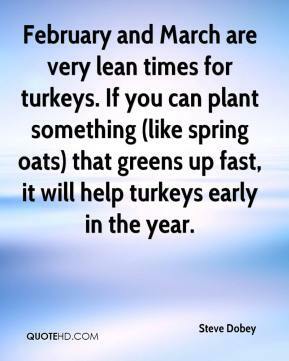 If you can plant something (like spring oats) that greens up fast, it will help turkeys early in the year. 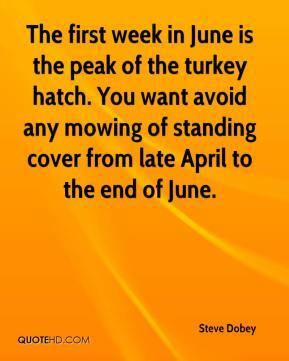 The first week in June is the peak of the turkey hatch. You want avoid any mowing of standing cover from late April to the end of June. 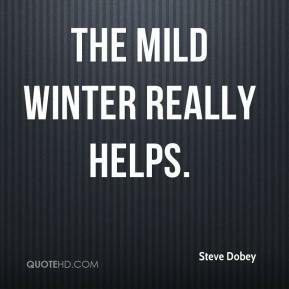 The mild winter really helps. 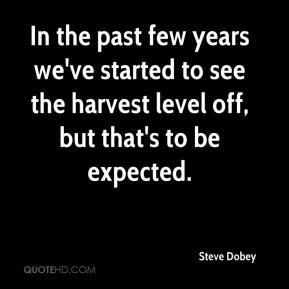 In the past few years we've started to see the harvest level off, but that's to be expected.